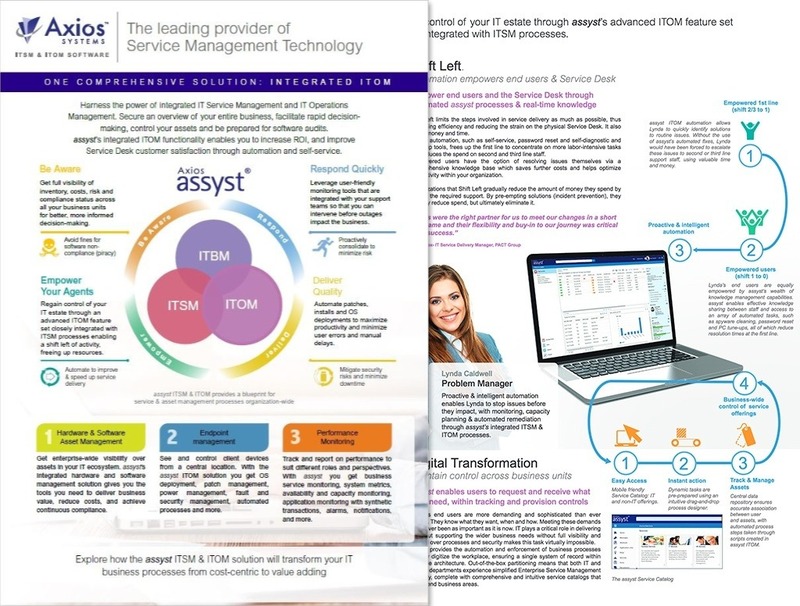 Find out more about how assyst can transform IT in your organization. 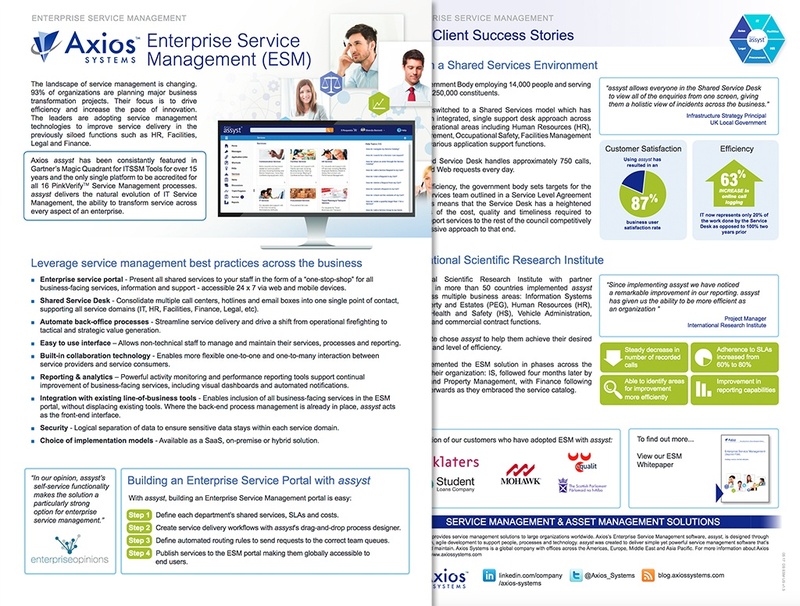 Find out more about Axios Systems. 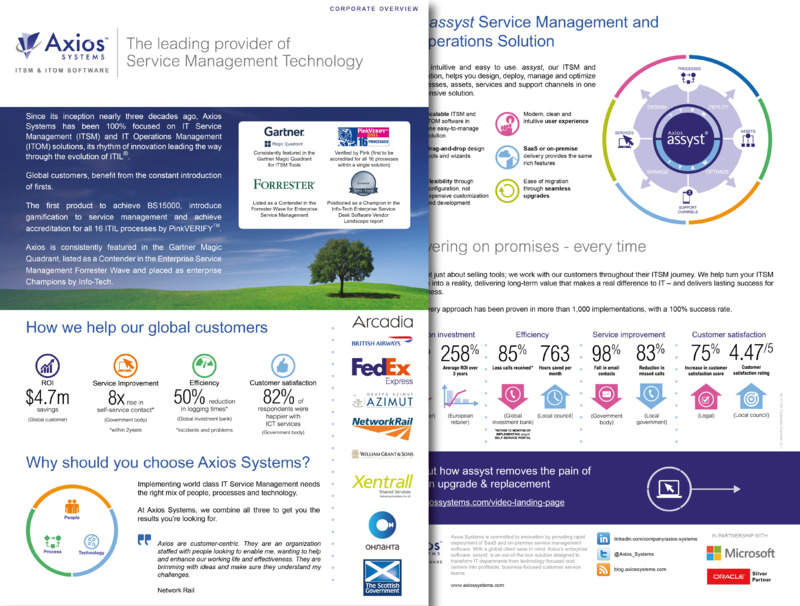 Find out what assyst can do for you. A technology store for your business. 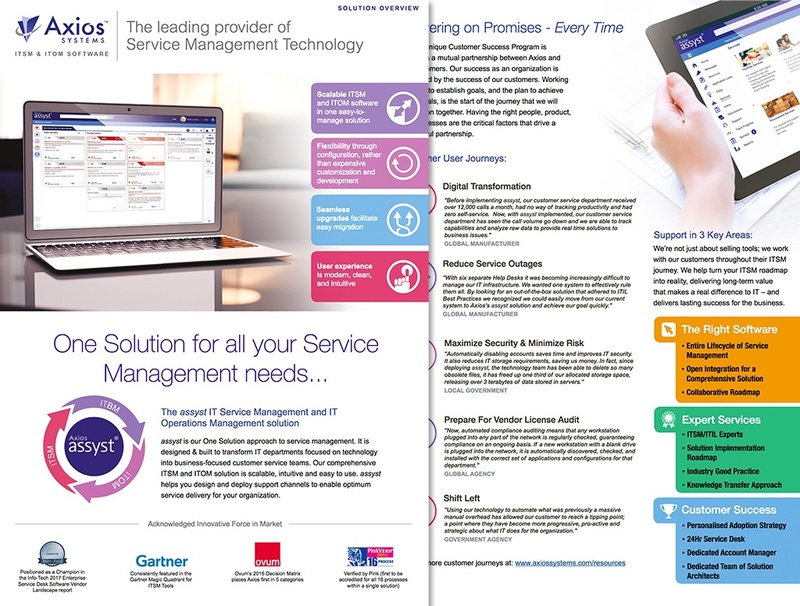 Leverage service management best practices across the business. 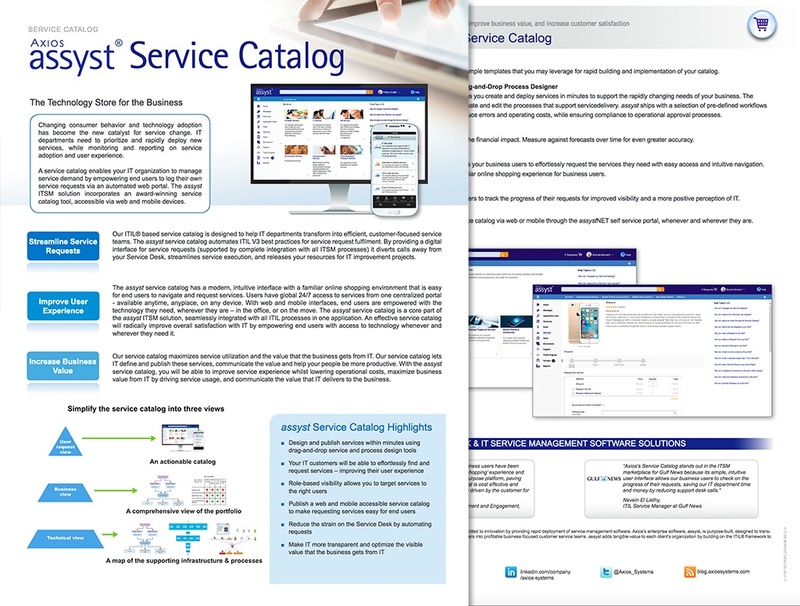 With assyst you can streamline interaction with facilities users, automate processes, and manage people and assets more effectively. 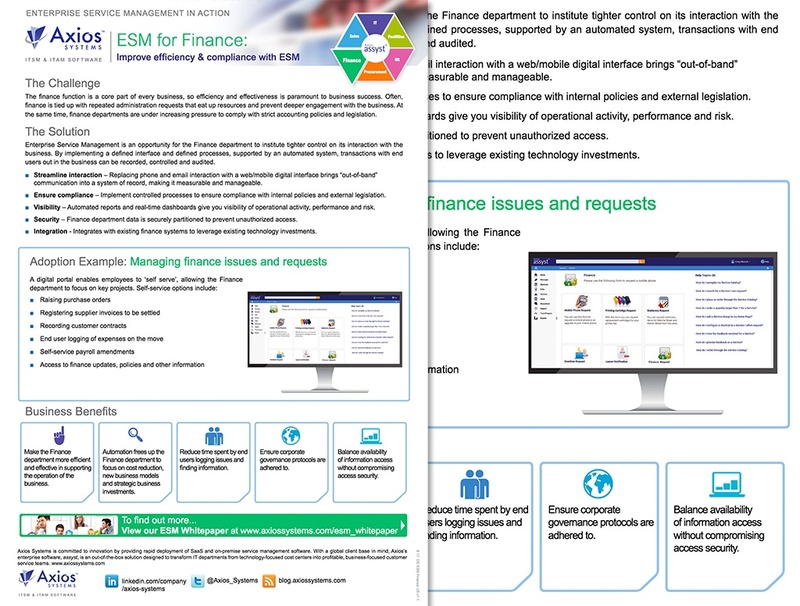 Improve efficiency and compliance with Enterprise Service Management (ESM). 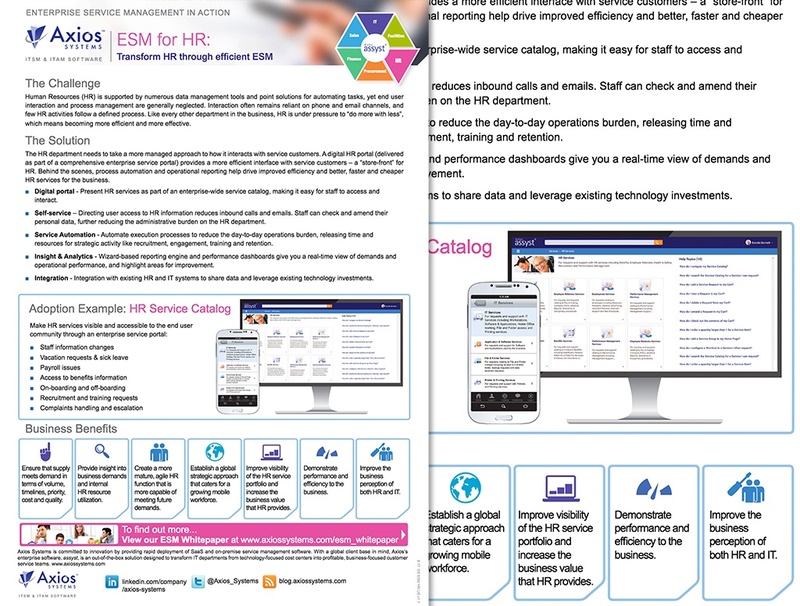 Transform HR with more efficient management of services to the business. 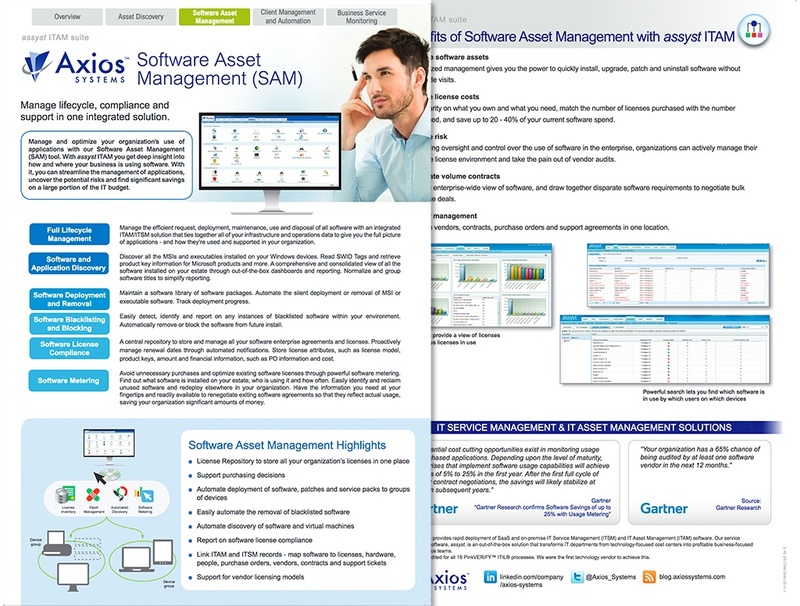 Integrated IT operations management functionality in a single cloud solution. 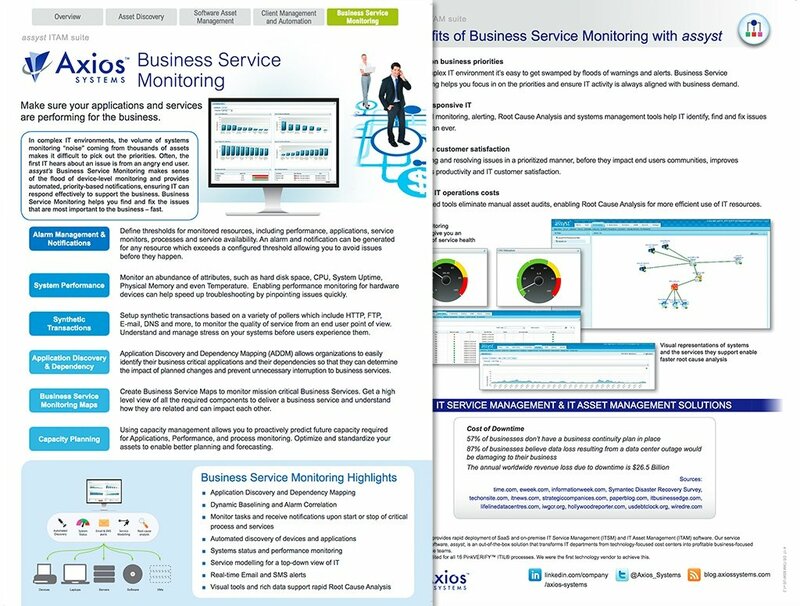 Get a complete and accurate view of your IT infrastructure. 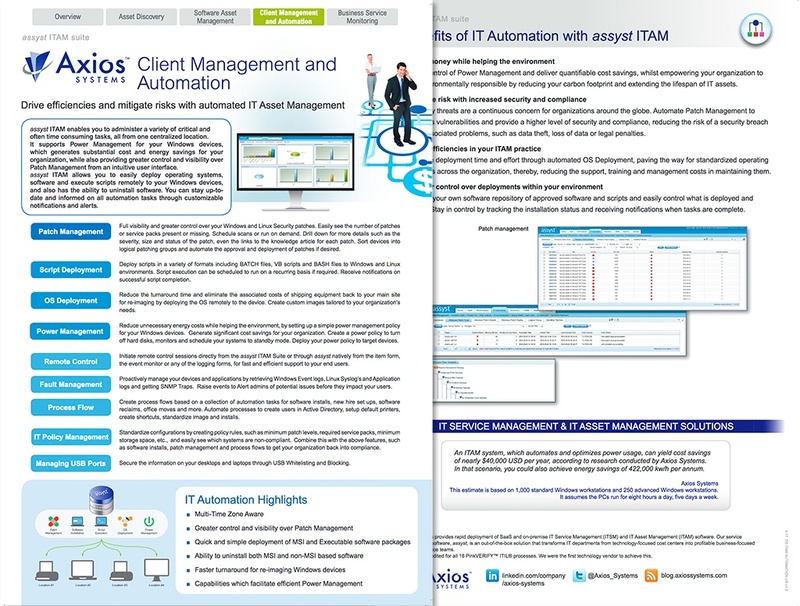 Manage lifecycle, compliance, and support in one integrated solution. 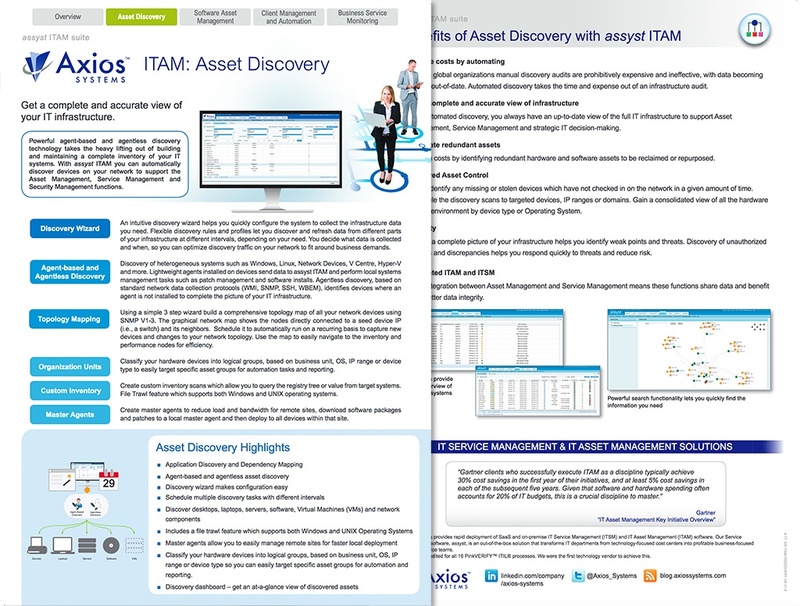 Drive efficiencies and mitigate risks with automated IT asset management. 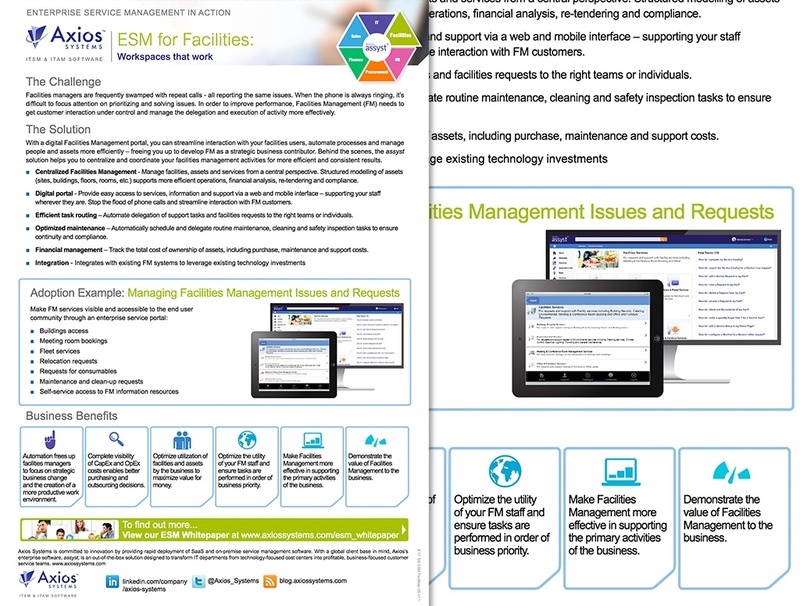 Make sure your applications and services are performing for the business.